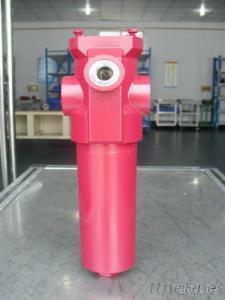 The filter housing are designed in accordance with international regulations. They consist of a filter head with screw-in filter bowl. It can be used for mineral oils, lubrication oils, non-flam fluids, synthetic and rapidly biodegradable fluids. a. Filter housings must be earthed. b. When using electrical clogging indicator, the electrical power supply to the system must be switched off before removing the clogging indicator connector.